Car buying is very complicated, and for many people it’s unpleasant, and for good reason. New cars are pure purchase and assured depreciation, except in the rarest of circumstances. On top of it, car loans are weighted so you pay mostly interest initially, so you don’t have much equity in the vehicle — whatever it’s worth — for a long time. So of course it’s intimidating, but you can do it with our help. The secret is understanding where the dealer’s profit comes from — and knowing when it’s time to forget about all that and shop as you would for a good deal on any product. Though the process can be difficult, buying a new car shouldn’t be thought of as a war between buyer and seller; instead, it’s really more like a game. The sooner consumers recognize this, the better off they will be. And if you want to win this game, you have to prepare. As you begin preparations to buy a new car, realize that getting the best possible deal requires a good amount of research and plenty of time. You may need to do a cost-benefit analysis that weighs your time and effort versus the difference between the invoice price and suggested retail. Without investing any time in research or haggle effort, expect to pay the manufacturer’s suggested retail price for the vehicle and possibly more for financing and add-on items. You should peruse all of this comprehensive guide before you start shopping. Seriously, all of it. It is detailed and big — because it needs to be. If you can’t bother to invest the time in reading the whole thing, you’re off to a rotten start in the car-buying process, and your results will be predictable. Remember that this guide, or at least the part about dealer costs, applies to new vehicles only. Before you interact with the dealer at all, decide which vehicle you’re interested in and how you’re going to pay for it. This chart can help get you started, as well as help you avoid confusion later. 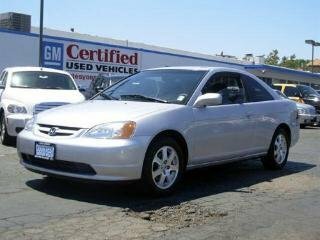 Determine what vehicle you want to buy, for example see our used cars information series. Once you’ve narrowed your vehicle options, focus on each car’s financing specifics. Peruse current rebate and financing offers; see which vehicles retain the most and least value; read our financing advice to learn about various payment options; and finally, run the numbers with our payment calculators.